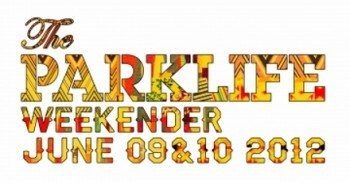 Oklahoma City’s psychedelic alternative rockers The Flaming Lips and grime rapper Dizzee Rascal are today confirmed as the star headliners for The Parklife Weekender at Platt Fields park on 9th and 10th June 2012. Crowning the festival’s main stage on Saturday and Sunday respectively, these two artists lead the first line-up announcement for Parklife’s third annual party. The finest pop, indie, electronic and crossover sounds are represented throughout the bill, as much-loved familiar names join many fresh faces tipped for the top in 2012’s ‘Ones to Watch’ lists. Everything is poised for a fantastic year that could very well be Parklife’s third and ‘hat trick’ sell out. Headliners across the festival’s other arenas include dubstep chart toppers Nero, Parisian duo Justice – Live, Mixmag’s ‘Breakthrough DJ of The Year 2011’ Maya Jane-Coles and raucous electronic Canadians Crystal Castles. The Parklife Weekender also welcomes a number of clubland’s most respected labels with Crosstown Rebels and Hospital Records sending a number of their roster to Platt Fields Park. Also pitching up for the weekend are some of the UK’s hottest promoters with Metropolis and Chibuku invited to host their own arenas. Elsewhere the festival’s performers come from the cream of the recent music crop. The newest additions to major radio playlists, magazine cool lists and blogger best of lists, namely Totally Enormous Extinct Dinosaurs, Azealia Banks, Django Django andGhost Poet are all part of Parklife’s stand out line-up for this year. Over 100 artists perform across two days on 7 arenas for only £64.50 making The Parklife Weekender what could be the best value festival on offer this year*. 2012 may only Parklife’s third year but already the festival is a huge draw, tickets to both 2010 and 2011’s events sold out at least eight weeks in advance. To avoid disappointment promoters strongly advise fans to act fast and ensure their place at the start to Manchester’s summer.